exercising, etc., as much as possible before the trip, because I think it makes it easier. her under any circumstances....she's a beauty and so warm and sweet. I kept wishing I had a daughter just like her. All that and she is a competent nurse and assistant in a very successful team of doctors. The Surgeon is absolutely delightful in every way, really knows "his stuff" and Brad and I felt like the most fun of the trip was riding over from Celaya to San Miguel with them, talking about politics and history and a whole bunch of stuff and getting to know them. He's an incredibly bright man, and very down-to-earth. Great person. I am about to write him a thank-you note. out and about having a ball in this beautiful Spanish town. The weather is perfect every day, it's incredible. So peaceful and quiet....just the sun, the old cathedrals, those cobblestone streets and the endless stone walls from the 1600's! Fabulous. We took a taxi tour on Sunday, which was good, because I don't think I could have walked as much as it would have taken to get an overview of the town. But the last two days, I was totally up and about and eating dinner at different great restaurants downtown and doing a lot of walking...these were things I never pictured being able to do so soon after major surgery. I would recommend this whole trip and experience to anyone...it is the only way to go. Thank you, Pat, for facilitating this trip and for being so very helpful all along. If anyone needs further information, please tell them I will be happy to answer questions. Did Pat tell you I kept it a secret from my husband who was away for a month, and always was opposed adamantly to cosmetic surgery. He came back 2 and a half weeks after my surgery and didn't notice it. However his eyesight is not so good. My experience was the bruising was almost gone by about two weeks, but my face was still a little tight and swollen, and people would notice something odd. If you want to do it without anybody realizing it stay away three weeks. I wish I had stayed longer because it turned out to be one of the best holidays I've ever had...I want to go back this year and spend more time there, it was so idyllic, so pleasant, so stimulating and so affordable! I finally told my husband and he was astonished. He really could not tell until he put on his eyeglasses and examined before and after photos. The results are very natural looking. I hated my wrinkly creepy neck and now I have the neck of a 25-year-old, smooth and young. But nobody remembers my old neck. They think I am wearing a new makeup or have a new haircut. Or they think because I recently sold my business that I am so relaxed and rid of tensions. It is really amazing. The fee I paid covered everything, even the pain pills and antibiotics he gave me to take after leaving the hospital, (I didn't need the pain pills, but did take sleeping pills which he also gave me because it was hard to get really comfortable); he removed the stitches at the hotel. No extra charges for anything, but I did tip the driver of the car $10 for each transfer. He even arranged a driver to show up at 5:30 a.m. for the early plane from Leon back to Houston. After spending time in Mexico I am convinced that the average Latin has an artistic gene, everyone is creative and tuned it to visual aesthetics. One day I noticed the shower curtain in the hotel was tied back with a rosette fashioned from a paper towel. Even the maids are creative and artistic, just for the joy of it. I could go on and on, but I think even if I could afford an expensive US surgeon, why do it any other way? I have seen so many scary facelifts in Aspen from women to whom price is no obstacle. You know that stretched wind-tunnel effect? I was afraid of that. Feel free to ask me about anything else that comes to mind. 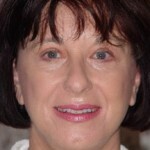 discovered www.faceliftmexico.com and Pat Marino, the U.S. agent who developed the company. really couldn’t imagine going to anyone else. in all of Mexico; this is an understatement in our opinion. of Pueblo Viejo was one of our hangouts. the blood work and EKG. had cable TV with English channels, and hardwood floors. sleep is conducive to a speedy recovery. down the hallway, an elevator ride...then waking up in recovery. I felt incredibly good; there was very little, if any, pain. most pain I had was getting my wedding ring off before surgery. as to what I could and could not eat. things and change my head bandage. and think about venturing out tomorrow, depending on how I felt. look the part of Grace Kelly! The week ended much too quickly. trip being La Gruta, the natural hot springs nearby. of all, I miss those wonderful lazy afternoon siestas. point I do not compromise. I want the best! many of the best plastic surgeons are in California. Very expensive. old and figured it was time for a complete overhaul. to be "cleared by my own physician before surgery,"
elective surgery would cost more than $25,000 before I was through! had completely worn off by the time I went to Mexico on June 4.
in other countries can often be quite rewarding. in Mexico. One day I googled "face lift in Mexico." And EUREKA! I found faceliftmexico.com. gave me her phone number and suggested some times for us to talk. that can't be beat - anywhere. my life. I turned 62 in Mexico (but emerged LOOKING 37!). Dr.
MADE! Now, I still can’t believe the amazing bargain I found. What a shopper I am! mind: are the hospitals safe? Do they know what they're doing? they can cause puckering behind and he chooses to use stitches. friends who have had stapling do appear to have some form of puckering. He also does not use lipo suction around the jaw line and neck. more time consuming, but the results are so much better. Dr. Carlos only does one facelift surgery a day. do it while they oversee. That really bothered me. From the moment I met him, I knew I did the right thing. and took photos. One thing I was hesitant about was the brow lift. the face is a circle and doing it for me. and you don't have all of the after effects such as vomiting etc. up by the driver and went to San Miguel de Allende to Casa Marino. long friends. The food is excellent and the beds are so comfortable! to lie on my back propped up by pillows as I'm a side sleeper. And that was just a minor inconvenience! The BEDS are awesome. how to treat your recuperation. the work my friends had done by top surgeons in New York City. been a month, but everyday I see more improvement. surgery with Dr. Carlos. I highly recommend him and Casa Marino. 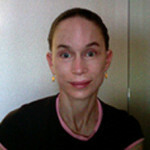 I never thought I would have a facelift, and I certainly never thought I could afford it. But after recent cosmetic surgery, I now look and feel like a 40-year-old again (I’m 60). I recently retired and live in San Diego, California, where there are plenty of good plastic surgeons, but their fees are high—around $25,000 as an outpatient. For some people, Mexico brings images of corruption and bribery... But that's the Mexico popularized by newspapers and television. There's a real side of Mexico that you rarely see... And the reason Americans are moving south of the border in droves. I travel to Mexico a lot, and I had heard how much of a positive experience cosmetic surgery here can be. I had heard of places that pamper you and let you recuperate in a beautiful setting after the surgery. When I found a company I liked, I listened to past patients talk about their experiences, and saw their before and after photos. My surgeon’s fee for a complete facelift is $6,500. This includes a three-night stay in a private room in a state-of-the-art hospital. The cost of other procedures ranges from a third to about half of what you might pay in the States. I decided to stay the rest of the week in a deluxe villa nearby, where I was pampered by staff who are used to patients combining their cosmetic surgeries with a vacation. The villa is tranquil, and I felt relaxed and comfortable the whole time. The modern hospital where I had my cosmetic surgery is located in Celaya city—a 45-minute drive from San Miguel de Allende. My friends have seen a huge difference and have commented on how good I look. I decided that I would go for plastic surgery on my 57th birthday. It seems like overnight I looked very haggard. When my husband took some close up pictures of me and I took a good look at myself, I was surprised. I did not realize how bad I was starting to look. Getting cosmetic surgery now, before there would be an even greater contrast, was on my mind. Dr Carlos has a style which is like returning from a vacation really well rested..looking so good..not a life changing facelift. This was what I wanted. 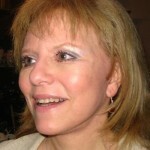 I made a reservation with Pat Marino, www.faceliftmexico.com for an appointment. I had enough time to experience many changing emotions..from "Yes! Go for it!" to "Yikes!! "Two weeks before my trip to Mexico I read all the testimonials on Pat's website. This was my salvation. It really helped my thinking!! I went to San Miguelle de Allende a few days before my appointment. I spent time at Casa Marino. I was so pleasantly surprised with the lovely opulent villa. I felt like a movie star escaping to a special private retreat to be private about a secret face lift. Casa Marino seemed like my own private getaway! Having the private drivers was another treat. Being driven from the airport to the hospital , escorted into the hospital to the Dr.'s office, and having Dr. Carlos step out to greet me was perfect for a girl with the jitters. The pre-op testing went swiftly. Our private room with an extra bed made my husband feel most welcome, even if his bed was like sleeping on a board! The hospital provided efficiency and attention. The morning of my surgery went by quickly. I was wheeled off for the operation and the next thing I knew was that I was joining my husband for lunch in our room. been better. Staying at the Casa can be a real "CHICK" experience. However, having a man around is what made it work for me but I see no problem with coming alone. I recommend having a spouse or buddy be with you. The time in the hospital can get lonesome and a bit scary! It was a happy time to go down every morning for our sumptuous breakfast. The "La Comida" gave us a special late lunch to look forward to. The charm of the sweet maids, Estelle and Lucy topped it off! My memories of Casa Marino are most happy and it is a short walk to the main square! The town Of San Miguelle de Allende is very ethnic and historical. It is "Somewhere inTime." It is great to step out to tour about and get your mind of yourself. The dining in SM is 1st class. My story is a good one. It is a long wait with a lot of discomfort. I bruised a great deal. Not returning to thehospital & having Dr. Carlos come to the CM offered a lot of TLC. Thank you Dr. Carlos. I am now home and on day 11. My face is still tender, however everyday I get better looking...new and improved!!! My sincere "Thank You" to Pat and Melinda. I really appreciate your personal touch, dedication, and professionalism. I am writing to thank you for Face Lift Mexico and the wonderful package you put together for me. My entire experience in Mexico during me face-lift procedure was nothing short of WONDERFUL!!! Dr. Carlos met me at the door at the hospital. He was very kind and easy to talk to. He made me feel very comfortable and confident about my decision to let him do my face-lift. It was nice to be in the hospital a couple days after the surgery, to get my strength back and start the healing process. The entire stay at the hospital was pleasant. And just to let your new clients know, there was absolutely no pain involved during my recovery. I was so amazed. When I arrived at the Casa Morina your daughter, Melinda, greeted me at the door. She is a wonderful hostess and she made me feel very comfortable during my stay. There was home-made chicken soup waiting when I arrived, wow, and it was delicious. I stayed in a nice room with a beautiful inviting bed that was so very comfortable. Casa Marino is so beautiful and a very peace-filled tranquil place. I enjoyed the balconies and the main room for reading was quite nice. It was truly a wonderful experience and I would encourage everyone to come stay at the Casa Marino, even if they were not having surgery. It is a wonderful get-a-way that offers so many opportunities to be pampered and revived. Thank you for putting this wonderful package together for me. Strangers come up to me all the time commenting that I have such a beautiful face. I tell them they can, too. I am recommending Face Lift Mexico to all my friends and family. I want to thank you so much for everything. My trip to San Miguel de Allende, Mexico was great!! care of me from the moment I arrived until he put me in Dr. Carlos' hands. He came out to meet me in the lobby. he gave me peace of mind. I knew I was in good hands. be taken care of. I do not know how women in the U.S. have been sent home the day after surgery. I do appreciate every day that Dr. Carlos visited my room, (four times a day) to check on me. For a hospital, the food was good. I had a dietician come to my room to speak to me about eating well after a surgery. Dr. Carlos is the best!! I will personally recommend him to anyone who's in need of a good face lift! The 3 day hospital stay is so wonderful $6,500 is one third the cost in Atlanta. Today was my first day back to work and I had so many compliments. They say I look rested and pretty!! It is only sixteen days after my beautiful surgery. I am still swollen , but I put some make up on to cover some small bruises so I look good. I know I will be swollen for at least 3 weeks more but other people do not notice. to Atlanta. Glad she did, it's a long walk through customs and to my Atlanta gate. Pat, thank you for handling all of the details for me. I am very happy with the new Marta! Today is July 25, but I first wrote you a letter on the 17th following my July 9th surgery in SanMiguel. That was 8 days after surgery, and I was shocked at how good my face looked. All of my swelling was gone and there was just a trace of bruise under each eye, which I was easily covering with make-up. I took a picture, and on seeing it I decided that my face was still a little swollen, but it certainly isn't any more. Everyone is saying I look GREAT and very rested, but no one knows what I've done except those that I've told. This is such a beautiful, soft look. The experience in San Miguel was great. Thanks for introducing me to you client from California who came the next day - we were able to be supportive of each other during the first few days, and then we knocked around San Miguel together and enjoyed the trip. I'll send you a picture of me now as soon as I have some developed and you will see a softer look, with lines much diminished and eyes opened up. It looks great. Thanks again for arranging that great experience for me. the bruising that was left, and of course we had sunglasses and a hat. We never had problems with the draining of stitches. Within 6 weeks we were really back to normal (but looked better!). Patsy and I are so pleased with our new faces. My hairdresser says mine is the best facelift she's ever seen - and she's interested in having one herself. He didn't do my forehead as he said I didn't need it, but now that the rest of my face is so smooth, I notice the forehead creases more. I have not broadcast the fact that I have had a facelift, but I lost almost 20 pounds before going to Mexico, so when I came back out in public everyone thinks my face just got slimmer, too! First and foremost the doctor, staff, hospital and everyone else will make you feel like a queen. The care is excellent and you will be quite comfortable at the hospital. 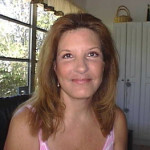 Frankly I had no pain at all, even right after surgery and I had a full face lift and eye lift. I felt achy, and a little headachy plus that tight swollen feeling but no real discomfort. I felt like sightseeing and enjoyed my time in San Miguel. It really is a vacation. Your short stay in the hospital should cover the time that any "complications" might occur. I was ready to leave the next day! 10 days after the surgery, there is no way to have complications. the only immediate concern would be infection or bleeding or something and I haven't heard of anyone who has had that problem but that would occur before you leave the hospital. You are perfectly able to take care of yourself. Remember when you have a facelift in the states they send you home THAT DAY. back to work immediately upon my return. What a great idea! Cosmetic surgery in Mexico: a face-lift vacation/tour, at affordable rates. 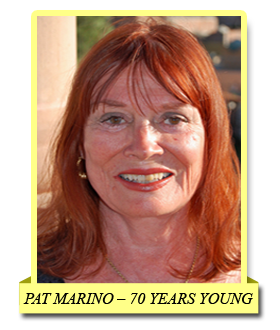 I called Pat Marino at FaceliftMexico.com for more info. She told me she had experienced the surgery and had sent more than 200 interliners to this famous surgeon. My face-lift was performed in a state-of-the-art hospital with a three-day stay in a private room. On the fourth day, you are driven by private car to the mountain Shangri-La of San Miguel de Allende for 6 nights at our lovely local hotel. Going South of the Border for cosmetic surgery is nothing new. I wanted to share my secret. We wanted to express our satisfaction at our stay at the hotel in San Miguel de Allende. The place was immaculate, quiet, and the gardens were lovely. It was a perfect place in which to recuperate! While the staff was not entirely bilingual, they totally made up for it by their effort to communicate, their kindness, courtesy, and efficiency. We truly felt pampered! Before I left for San Miguel, I made a list of restaurants that I wanted to try. We loved the food, the atmosphere and the service so much that we only went out once for a meal! eyes are completely gone. Even the blotchiness from a chemical peel done 10 yrs ago by another doctor is so improved (due to the skin being pulled taut), that it is barely noticeable. My 2 biggest concerns - hair thinning out on the temples and scars on scalp showing; and developing keloids around ears (as happened to my mother with her facelift) - never were an issue due to the surgeon's meticulous technique. Muchos gracias and God bless you! Thank you Pat, for arranging such a wonderful service in such a lovely setting. A month after I returned from Mexico I was offered a promotion at my job. I have to attribute this in part to my new positive energy and confidence that everyone notices. I am very pleased with the way my face is turning out. I now enjoy wearing make-up and jewelry which never seemed to make much of a difference before. I love my new face. Attached are my latest pictures. I never got a chance to really thank you for all your help and support throughout my facelift adventure. From the moment I stepped off the plane in Mexico with my daughter and was greeted by the warm and friendly driver, Manuel, to our return to the airport in Leon, my experience was wonderful. I will never forget the wonderful people who took perfect care of my daughter, Sharon and I. I was at complete ease about my surgery. Dr. Carlos visited me twice a day at the hospital and gave me his cell phone number for any question I had. At Casa Marino, Melinda was a fantastic hostess and a great source of comfort and support. Both my daughter and I loved her and would like to return to the spa someday. It was the most relaxing experience and a perfect healing rest for me. I met some lovely people at the spa and made new friends from the experience. And of course San Miguel was a fabulous city to see. So I had a wonderful vacation and returned refreshed and energized. I was able to return to work in 2 and1/2 weeks after the surgery no one could figure out what I did to look so good, but I received so may compliments. I am going through a very exciting change in my life. I feel as if I've set the clock back and I'm enjoying every minute of it. Please thank everyone for me. I will surely recommend your services to all my friends.